We have designed the Awards for the international HORROR AND FILM FESTIVAL of San Sebastian, on its 25th anniversary. You can see the silver ring of the iconic spider, that this year on its 25th anniversary has been redraw by the artist Jack Mircala. 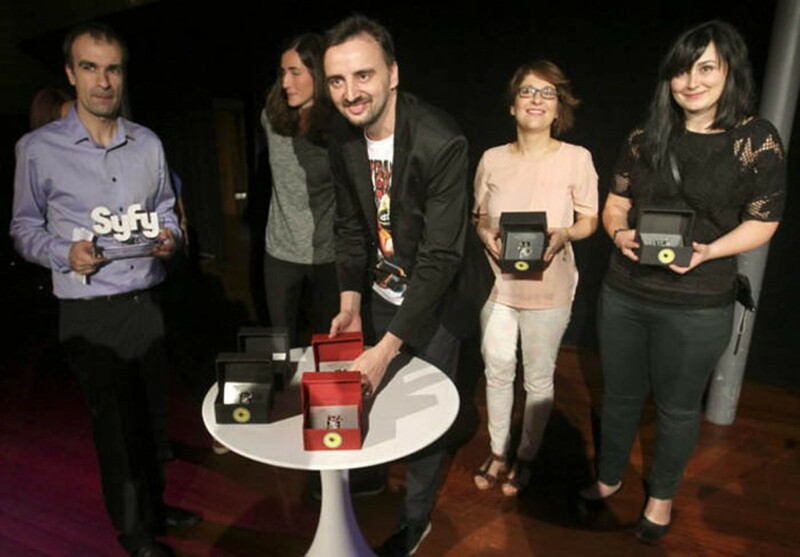 You can see the award pressentation to the press, and the winners of the XXV Horror and Fantastic Film Festival San Sebastian. Here you have the list of winners, some of them have the Spider Ring in their house.